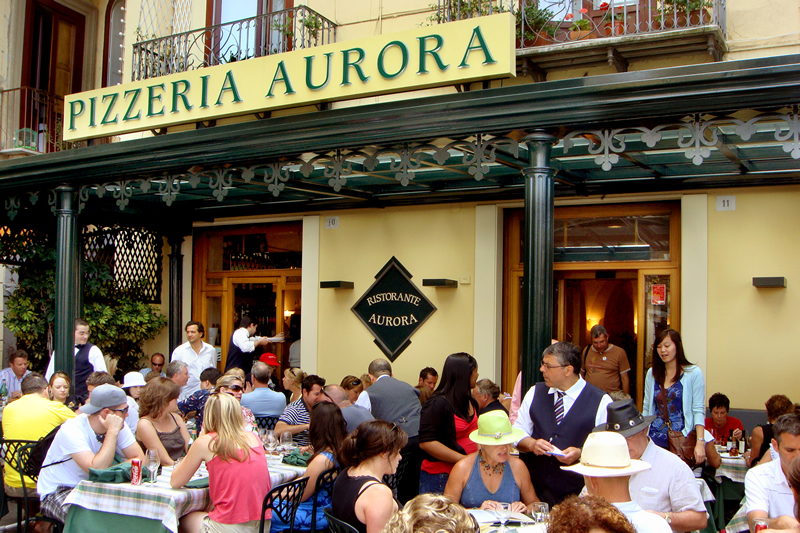 Pizzeria Aurora is situated in Piazza Tasso, the main square of Sorrento. Pizzeria Aurora offers a wide selection of Pizza, fifty different types, backed in a traditional wood oven and often prepared with special dough. We serve Pizza also at lunch time. His master pizza makers combine flavors and aromas with taste in order to offer a pizza, that you will remember! 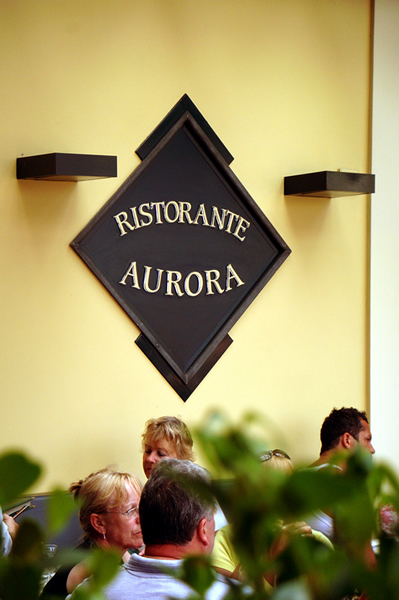 The restaurant Pizzeria Aurora, was born on the side of the Canonico 1898, one of the Historical Restaurants in Italy, managed with commitment and passion by the Terminiello’s Family. In 1963 the founder, Guglielmo Terminiello, decided to capitalize his working experiences, that he had gained in his “pilgrimage” all through Europe and the world. 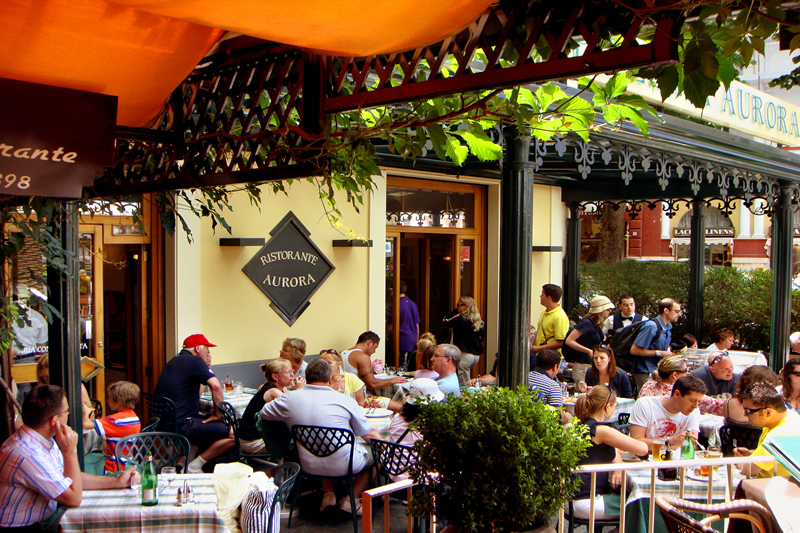 Returned in Sorrento he has proposed the management of the coffee bar Aurora. Meanwhile, he opened a local, still located in Piazza Tasso, La Stiva, where people used to go watch the first televisions. Coming back to our days, the Pizzeria Aurora, where all the family is working, integrates perfectly in the culinary offer of the restaurant Canonico 1898, the next door, restaurant placed in Piazza Tasso too.